With over 60 years of glass experience, we have the expertise to handle any glass project: a remodel of an existing building, a new industrial property, a shopping mall, or office buildings. 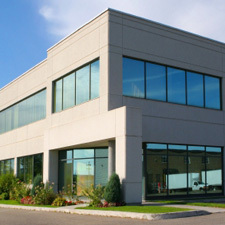 Contact Precision Glass for all your commercial glass needs! Precision Glass can show you the unique way glass can turn an ordinary storefront into an open, inviting atmosphere that will attract new customers. We offer top-quality aluminum and vinyl framing systems with ultra-versatility to fit your business needs. We also offer wall mirrors and glass that will enhance and noticeably update your business's look. If you are looking for an estimate on a residential or commercial glass job, click here. We're glad you asked! Please take a few minutes and read through the Top Ten Reasons to make Precision Glass Company your first choice for auto glass, residential glass, and commercial glass. I could not be more pleased with the service and glass replacement provided by Precision Glass. Precision Glass is the preferred choice for fast, convenient and experienced glass replacement in the Ft. Wayne and Kalamazoo surrounding areas. Every technician that performs repair or replacement procedures has over twenty years of industry experience. This translates to a quality repair or replacement with a LIFETIME NATIONAL warranty against all workmanship or manufacturer issues.